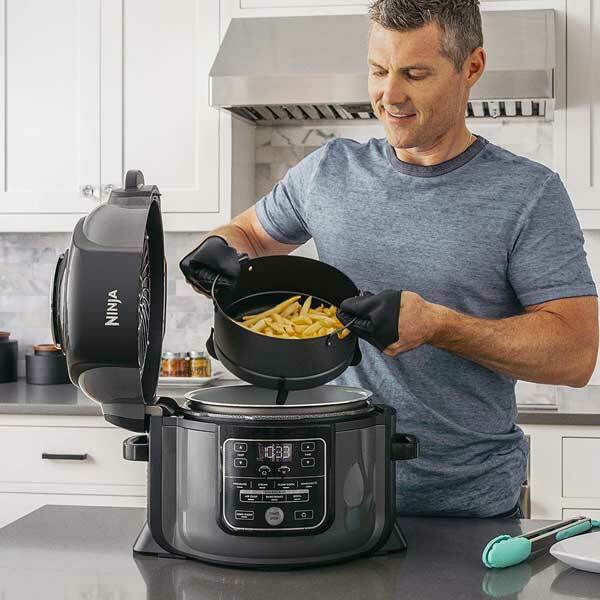 Meet the Ninja Foodi: a 1400-w multi-cooker that works as a pressure cooker, steamer, and air fryer. 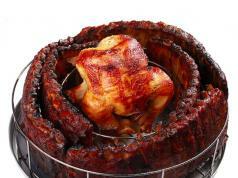 It comes with 6.5qt pot and lid to give your meals a crispy finish. The Ninja Foodi cooks frozen meats fast. It has 5 temperature settings and automatic stay warm function up to 12 hours. 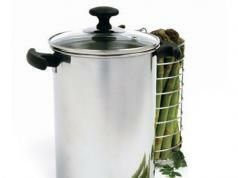 You can use this to cook your meals with less oil or simply prepare meals for your family faster. It costs under $230 at this time.